This simple and delicious jam recipe utilizes the natural pectin found in cranberries, along with a touch of fresh-squeezed lemon juice to set. It’s not only delicious on grain-free toast, biscuits and granola, but it’s also absolutely perfecto for making fruit-on-the-bottom yogurt. Refrigerator jam also makes a wonderful gift-in-a-jar! Simply add some decorative ribbon and a gift tag, and you have a thoughtful homemade gift to share with your family and friends! 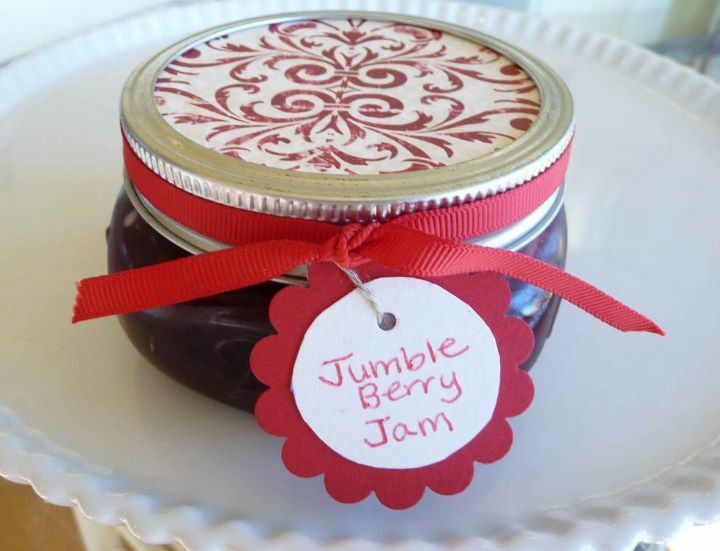 Recipe Variation: You can create virtually any jam of your choice following the simple method outlined in my “Honey Sweetened Fruit Preserves” recipe, such as delicious raspberry preserves, strawberry jam or my personal favorite – blackberry preserves. Yum! This simple and delicious jam recipe utilizes the natural pectin found in cranberries, along with a touch of fresh-squeezed lemon juice to set. This recipe makes four 8oz jars of jam. You can then place one of the jars in the fridge to enjoy now, and freeze the remaining jars for future use. Or add decorative ribbon and gift tags to create a thoughtful homemade gift-in-a-jar! Jumble Berry Jam is not only delicious on grain-free toast, biscuits and granola, but it’s also absolutely perfecto in yogurt too! Please note: If using whole frozen strawberries, allow to thaw completely and then use your hands to break them into small pieces. If using fresh strawberries, remove the stems and quarter them before measuring out 2 cups. Then cut the blackberries in half before measuring. No need to cut the blueberries and cranberries. In a medium saucepan over medium/medium-high heat, bring the berries and honey to a boil while stirring. Then, reduce the temperature until the mixture remains at a constant simmer. Allow berries to simmer for 20 minutes, stirring occasionally. 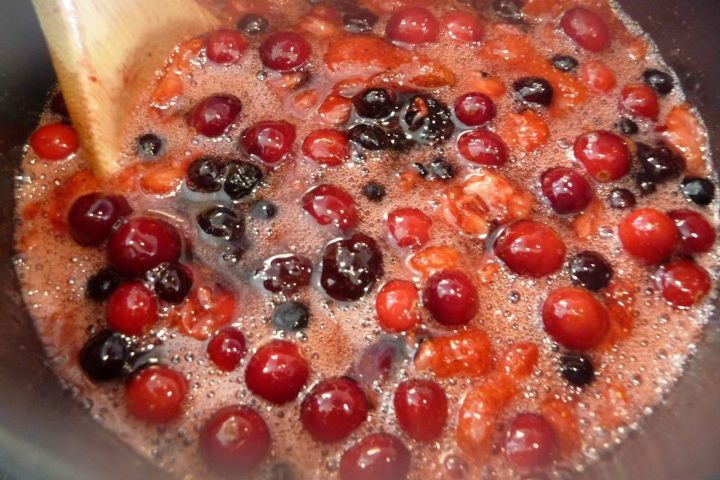 Once you reach the 20-minute mark, use the back of a wooden spoon to mash the cranberries against the side of the saucepan. This helps to release all of their natural pectin. Maintain a gentle simmer, making sure to stir the mixture frequently, so it does not scorch. While stirring, use the "back-of-spoon" method to break up any large pieces of fruit into smaller pieces. Or if you prefer a less chunky jam, thoroughly mash all of the berries. Pour the fresh-squeezed lemon juice over the warm preserves, stir well and allow the mixture to cool to room temperature. Evenly distribute the cooled preserves among four 8 oz. glass jars making sure to leave about an inch of space between the top of the jam and the jar lid to accommodate for expansion. Then, cover and refrigerate or freeze. 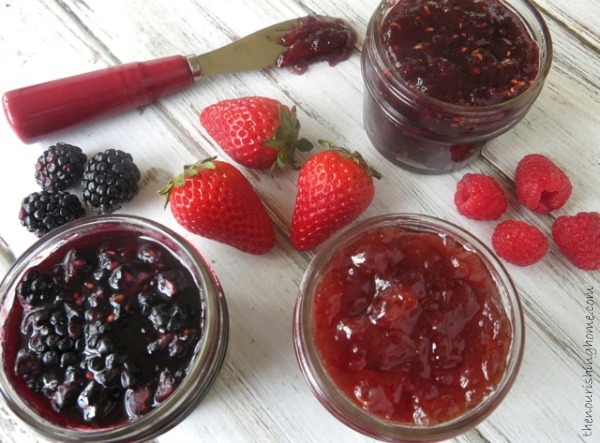 Recipe Variation: You can create virtually any jam of your choice following the simple method outlined in my "Honey Sweetened Fruit Preserves" recipe, such as delicious raspberry preserves, strawberry jam or my personal favorite – blackberry preserves. Yum! How do you keep your glass jars from busting once they are frozen? 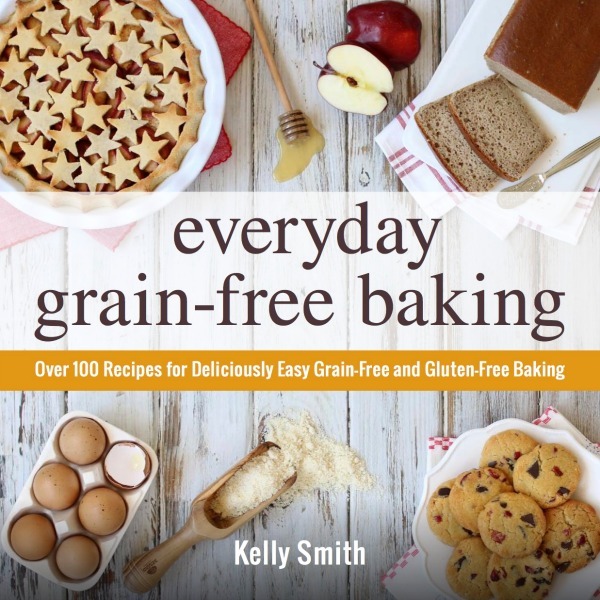 Could dried cranberries work in this recipe? Thank you for your response. Just wondering if I could use substitutes to create the jelly effect, such as arrowroot or cornstarch (organic)? Hi, Sam. 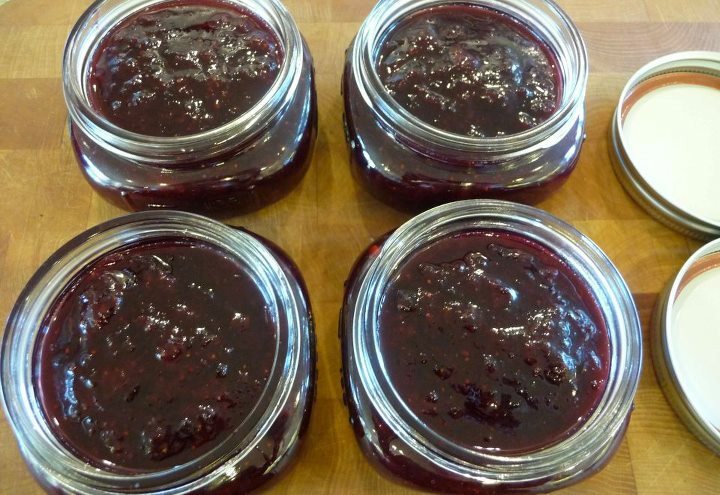 Yes, I know some do use arrowroot to make jam, such as this example from Elana’s Pantry. I’m not a big fan of chunks of fruit (I’m actually trying this as a replacement for jelly, which is mostly fruit juice), so I’m wondering if I could potentially run it through the food processor to get a smooth consistency. Thanks so much for the recipe! Thanks Kelly! I just finished a batch and it is cooling now. It doesn’t seem to be thickening into that jelly-like consistency (it’s just like a thick sauce). Maybe I just haven’t waited long enough, but if it doesn’t thicken, do you have any suggestions for how to fix it? I would even be willing to add pectin or something else at this point just to save it. I really don’t want to waste all those ingredients! Thanks so much! Hi, Ashley, I wanted to let you know that it should be the consistency of fruit preserves, not jelly. 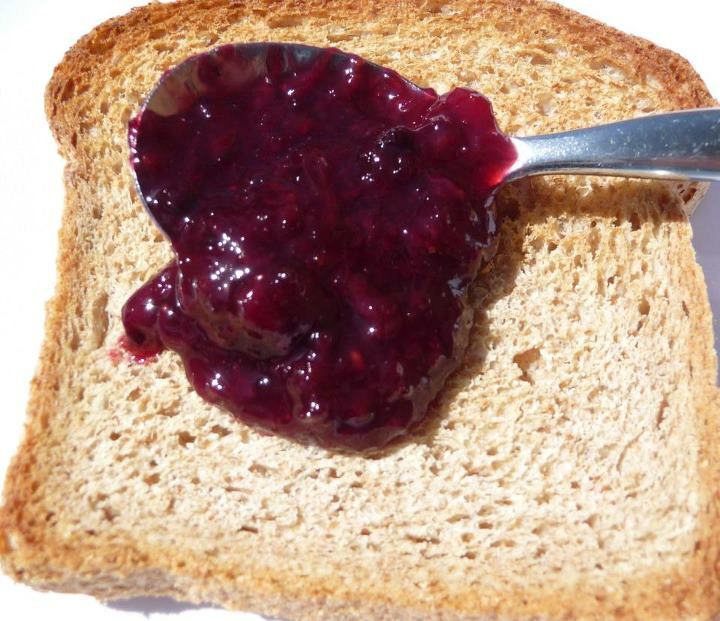 So it won’t be a super thick jell, but will be like the photo of the toast – a thickened fruit preserve. If it’s not as thick as you’d like, and you followed all the directions and used the ingredients listed without substitutions, then you may need to simply allow the mixture to simmer a bit longer on the stovetop at a low temp so more of the liquids can cook out of the preserves. Or yes, you could add a bit of pectin to the preserves. In which case, I’d recommend using Pomona’s Pectin since it works will with no-sugar, low-sugar recipes. Here’s a link to their site for details: http://www.pomonapectin.com/ I use this for making peach preserves (you can find the recipe here: http://thenourishinghome.com/2012/08/perfectly-easy-peach-preserves-gf/). Thanks for your suggestions! I did replace half the honey with date paste. I’m wondering if that, or the processing in the blender, affected the recipe. I tried simmering a bit longer, but still just have a thick sauce. I realized it will be great to flavor yogurt and I’m sure I can find some other uses so it doesn’t go to waste. I’ll try the exact recipe next time and hopefully have better luck! Thanks again!